Although car accidents are fairly common, few people are prepared for them when they happen. This is especially true in states like Pennsylvania where drivers are given a choice between full tort and limited tort insurance. The tort option selected by an insured driver determines his or her legal rights to successfully pursue a car accident claim. 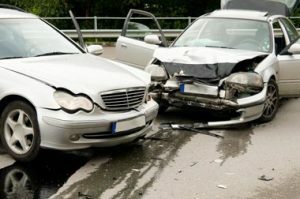 In addition to different types of insurance, there are other factors that a driver should consider before involving a lawyer in a potential injury case. 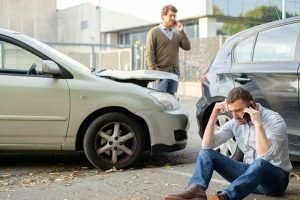 Central Pennsylvania’s premier accident attorneys, Hagelgans & Veronis, discuss what you need to know about hiring a lawyer following a car accident. A full tort policy allows an injured driver to sue an at-fault driver for economic and noneconomic damages like pain and suffering. Limited tort policies enable drivers to save on monthly premiums, but drivers may forfeit their right to sue another driver for certain types of damages including “pain and suffering” depending on the severity of their injuries. If an accident causes serious injury or major property damage, an accident attorney could be invaluable during negotiations with the insurance company or while investigating crash details that could be significant to a settlement. Depending on what type of insurance a driver has and the nature of the driver’s injury, obtaining legal representation might be beneficial. Drivers with full tort insurance will almost always benefit from the guidance and advocacy of a Pennsylvania injury attorney. That being said, minor fender-benders or accidents that result in no injuries or property damage usually don’t require a lawyer. But if an injury was sustained, a lawyer can help secure compensation while the victim recovers. Drivers with limited tort coverage may not be entitled to the same legal remedies. Injured drivers and passengers are barred from suing anyone (even at-fault drivers) unless a serious injury occurred. As a general rule, drivers that suffered a serious injury should call an experienced lawyer to maximize their compensation. Even with limited tort insurance, a crash victim can potentially recover maximum compensation depending on the injury or circumstances. An experienced personal injury lawyer at Hagelgans & Veronis can explain this to you during the initial free consultation. In some situations, limited tort won’t apply; for example, if the other driver is convicted of a felony DUI or if the victim was walking or riding a bike at the time of the accident. Drivers often prefer the savings of a limited tort policy, but gave up significant legal rights to maximum compensation. Limited tort insurance law is extremely complex. Not all lawyers can handle the important and particular nuances of car accident cases. Moreover, some settle cases before a person has been fully compensated. In addition to knowing a bit about Pennsylvania insurance, drivers should also know what to look for in an attorney. For example, car accidents result in all types of claims, from neck and back injuries to wrongful death. Are they experienced with full tort and/or limited tort claims? Have they taken a case to trial? Can they provide a list of references or successful cases? What is a typical settlement range for cases like mine? How are attorney fees structured? What out-of-pocket expenses will I be responsible for? Specifically, find an attorney with limited and full tort experience. He or she should have trial experience and provide a list of references and some sort of track record. Finally, look for an attorney that works on a contingent-fee basis. This means you will not pay legal fees until your case is settled. At which point, the attorney receives a percentage of the total settlement in exchange for services. Few people are prepared for a car accident. Fortunately, most injury attorneys offer free consultations so crash victims can ask questions and explore legal options to obtain maximum compensation. 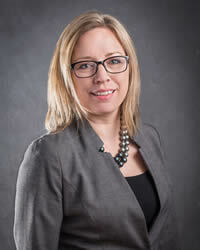 Call Hagelgans & Veronis at 717-295-7009 and speak with one of our car accident lawyers. The consultation is free. For updates on important Pennsylvania insurance information, follow Hagelgans & Veronis on Twitter or ‘like’ us on Facebook. Who Is Responsible for Injuries in a Truck Accident?